While launching a business website, the choice of suitable and reliable web hosting service provider is the most important and you should not leave any room of errors or mistake at all. So we are here to assist you with some important areas of consideration which you should not ignore while choosing a web host. The most important service factor you need for Web Hosting is Technical Support. Nowadays hosting technologies have become more developed than the past hosting technology, yet at the same time, if your site goes down for some obscure reason you should look for specialized help from technical support. So before you join any hosting provider to ensure that the provider is having a 24x7x365 support help benefit, and also support facility for holidays too. This is also a very important factor needed to be taken care of. In any case, never fall for cheap things in a moment, particularly if you are building up a website for profit. If you are getting a similar web hosting with a very low cost then at that point they would have negotiated for some conditions. So first have a look at the service quality and feature provided by the service provider and then the pricing. There are some big and small companies which are reseller hosting provider. So taking hosting from any reseller hosting provider first you should check out the parent of that hosting company. You should check for the reviews of the parent of hosting company, their support. Bandwidth is a term used to portray the amount of data you send from your server to your visitor’s browsers. When somebody loads one of your pages on their PC or mobile phone you are spending bandwidth. And if you have a website with lots of heavy content like the large video files, images, music etc. then a lot of bandwidth may be used. Some hosting packages provide bandwidth allocation in which a limit is set to the amount of bandwidth that can be used each month. This is not a problem for websites that have less no. of visitors, but if your website is big and your traffic is growing and also your post gets more share on social media than bandwidth allocation is a big problem. At the point when this occurs, there are two possible outcomes, either your hosting provider prevents you from being visible for the rest of month or you may end up being charged for the additional bandwidth capacity you have utilized. If you don’t want any of these things to happen to you then you really need to look for hosting company that provides unlimited bandwidth with different hosting packages. Uptime is the time for which the server stayed up running. This is a very important factor as if your server is down for a long time then it may affect your website quality and may affect your traffic as well. Uptime is generally recorded as a rate, as “99.9% uptime.” Uptime is an incredible proportion of how great a Web hosting provider is at keeping their systems up and running. If the hosting provider has a high uptime rate, at that point that implies that their servers remain up and running thus any website you have with them should remain up and running as well. This factor is also equally important as location affects the speed of the website. You must ensure to take web hosting from the region on which you want to target. For eg: if you want to target the audience from India than you should choose a hosting provider from India. But in case you are not able to take services from the same region than at least ensure your hosting provider is in Asia. Almost all the hosting service providers are providing Email service with hosting, but still, you have to confirm at the time of agreement and know brief about email space, no of accounts provides by the hoster. Also if you are using webmail then your email spacing will be connected to your hosting. In this case, if you are sending email in bulk then there are chances you may run out of space. In this case, you may have to upgrade your hosting which will cost you double. This kind of hosting is best if you have a small business or a blogging website. This is the most affordable option since your server space can be shared by other websites also. Linux hosting: Linux hosting is the most popular hosting service in the industry. Due to its affordable price and flexibility, most of the websites are hosted on this server. Linux hosting is good with PHP and MySQL, which supports WordPress, Zen Cart, and phpBB. Windows hosting: This hosting is also flexible and has a reasonable price, so the type of hosting to choose depends on the technologies your website needs. In Windows hosting windows is used as the servers operating system and offers Windows-specific technologies, for example, ASP, .NET, Microsoft Access and Microsoft SQL Server (MSSQL). To better meet your WordPress website performance and security need WordPress hosting has been optimized. It likewise normally incorporates a single click WordPress installation to make it simple, to begin with, WordPress. Also, some WordPress hosts will even automatically update your WordPress software as required. Dedicated hosting portrays web hosting packages which provide a dedicated server with dedicated resources to a single client. Dedicated hosting is idle for WordPress websites with great traffic. Managed hosting is normally an expansion of dedicated hosting. In this type of hosting the required hardware is owned by the web hosting provider and is rented to a single client. It is different from a dedicated server in the way that the day-to-day management and maintenance of the servers are handled by the hosting provider rather than by the clients themselves. 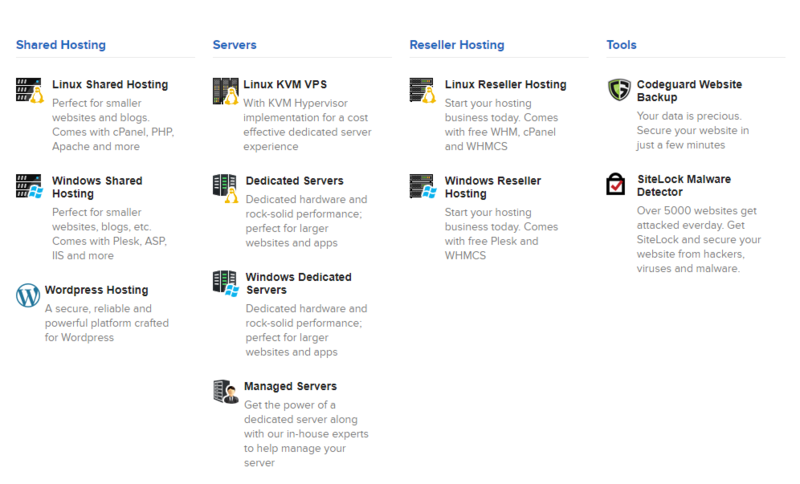 So these are the various types of hosting service you will be provided with. For choosing the best hosting you also need to also keep in mind whether your hosting provider is charging you monthly or yearly. For best services, you should be charged yearly. We hope we’ve given you a basic understanding of How can you choose the best web hosting provider company. So if you are planning for a website design and development and needed hosting then Give us a try!